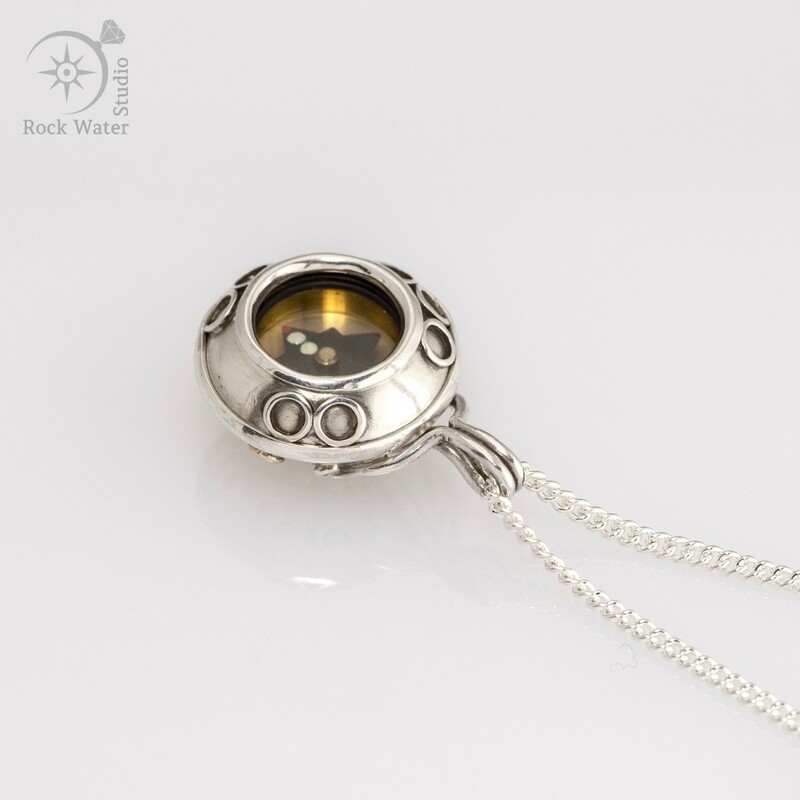 Imagine a guiding star, showing you the way. 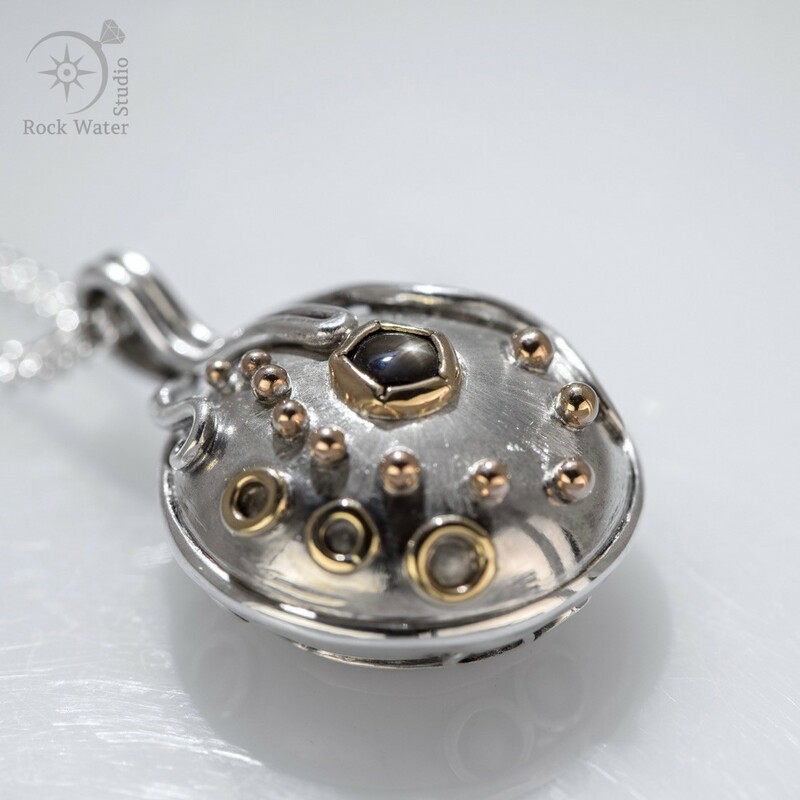 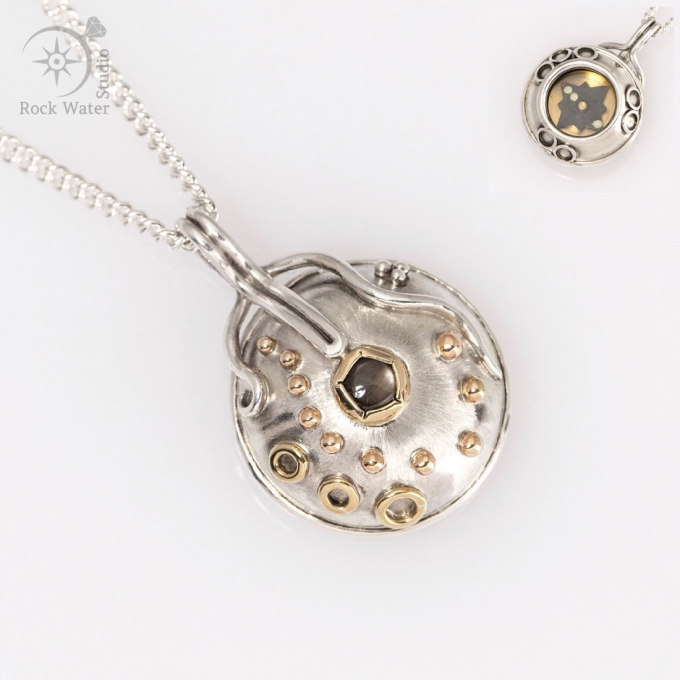 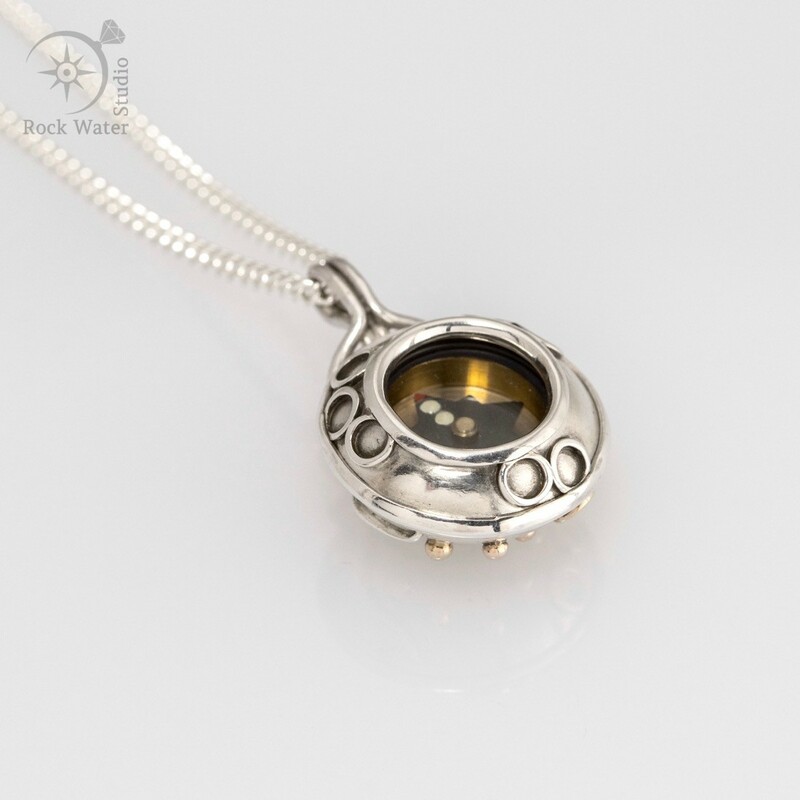 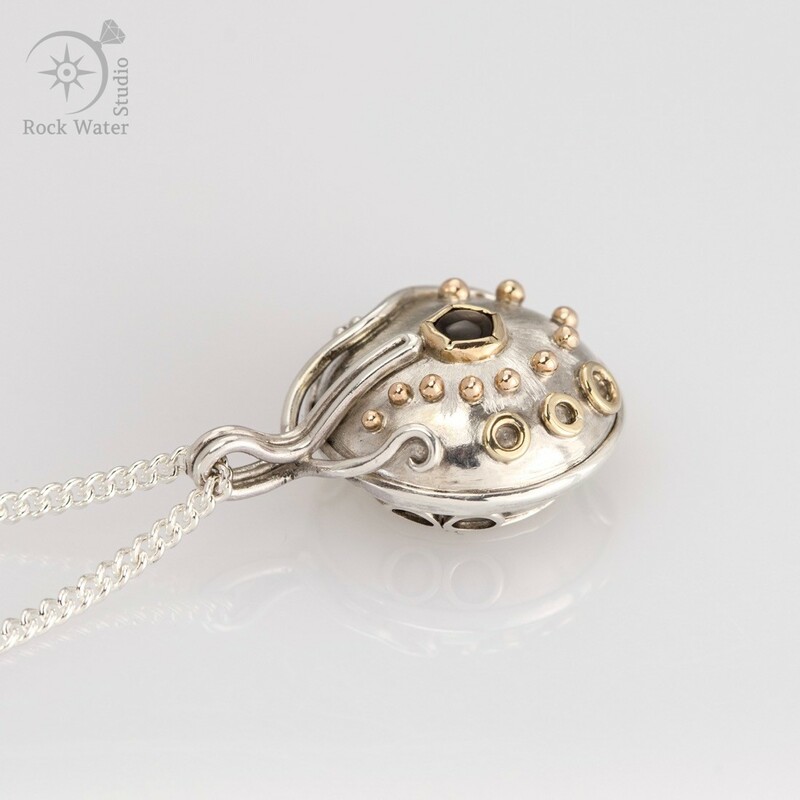 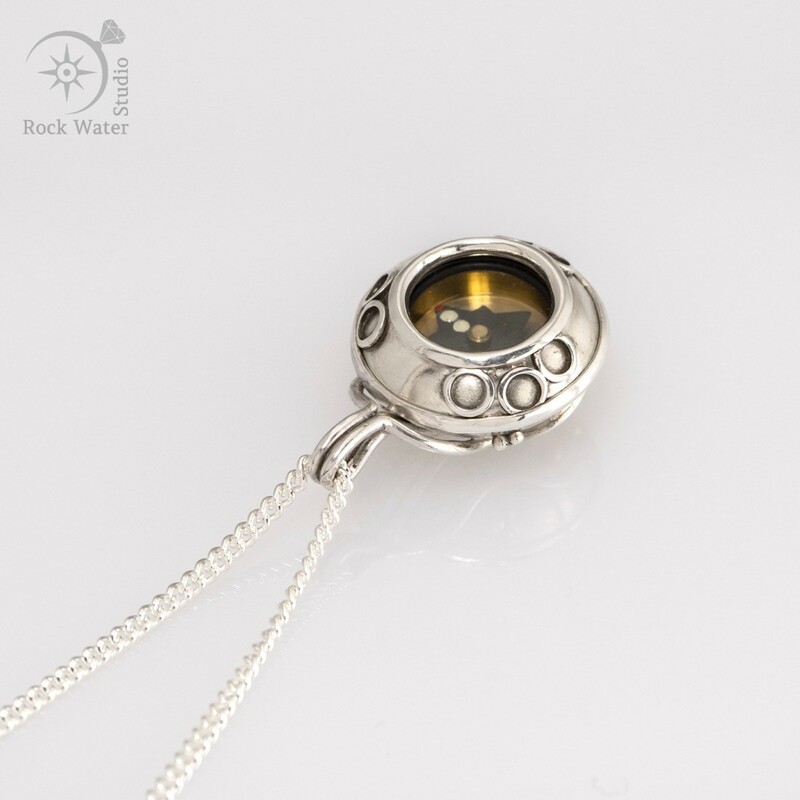 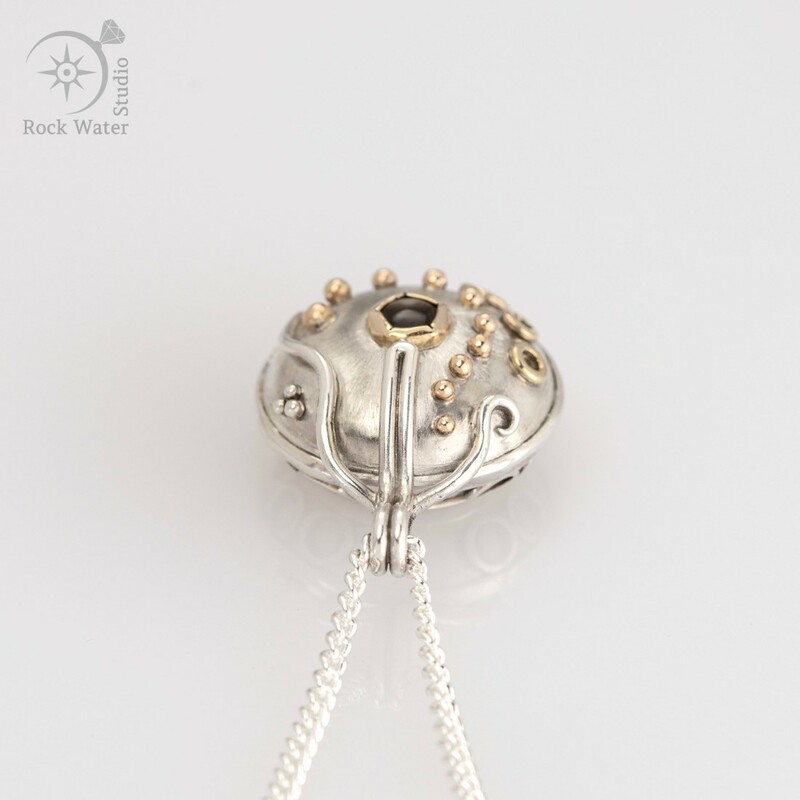 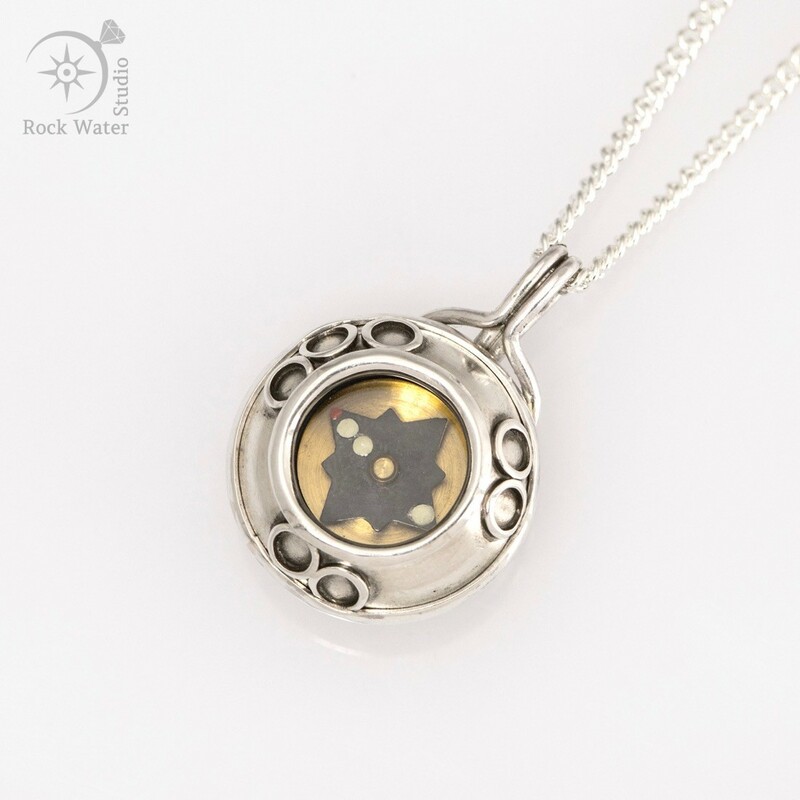 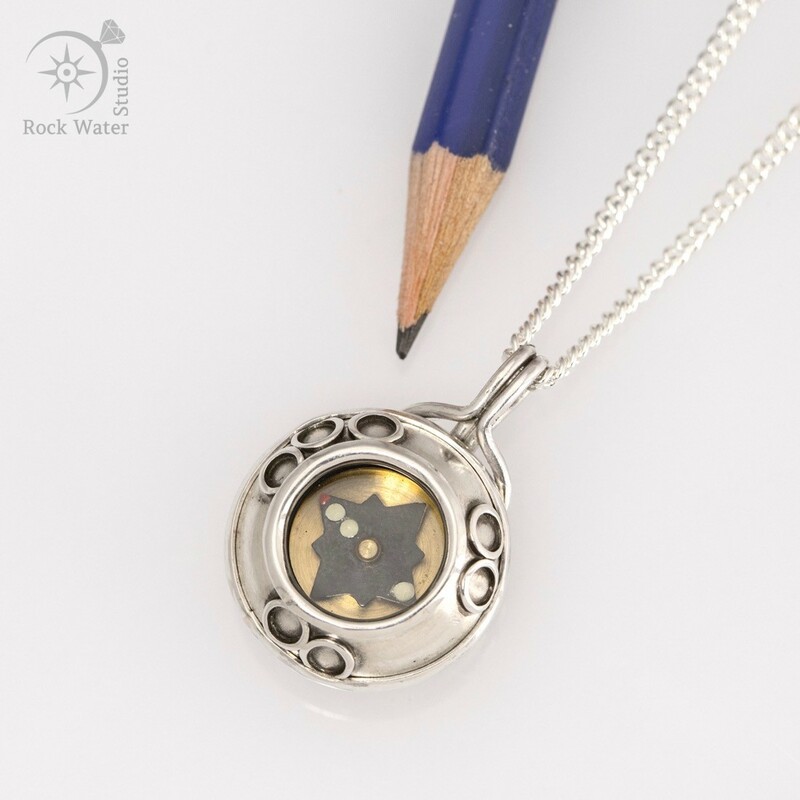 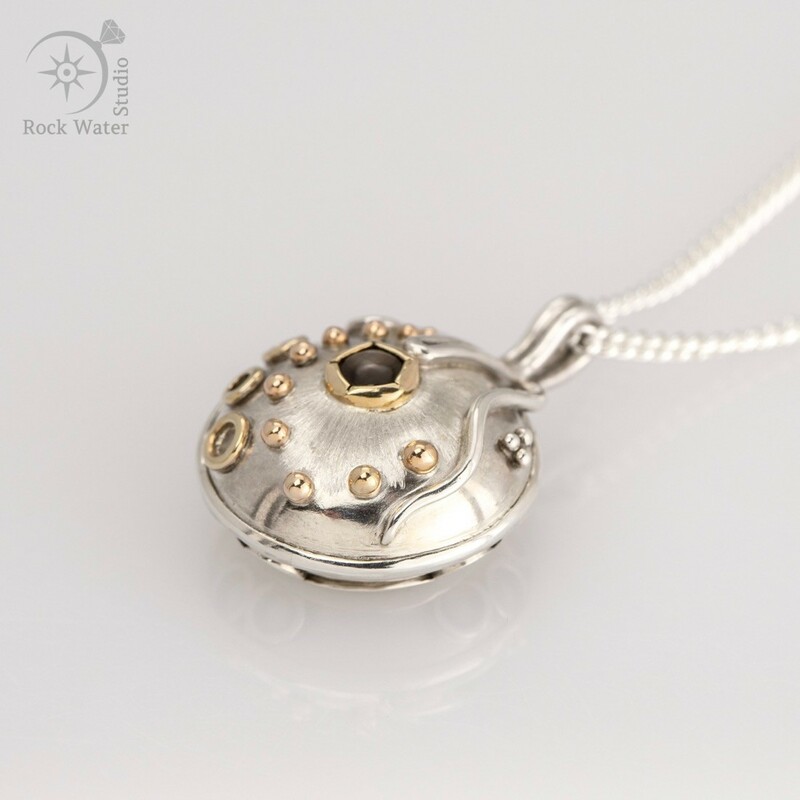 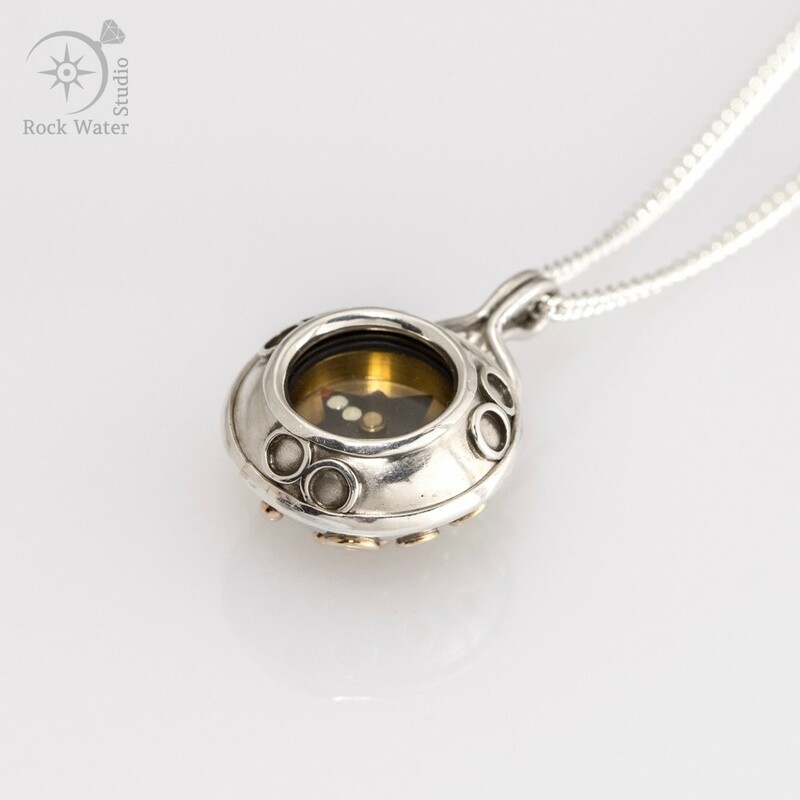 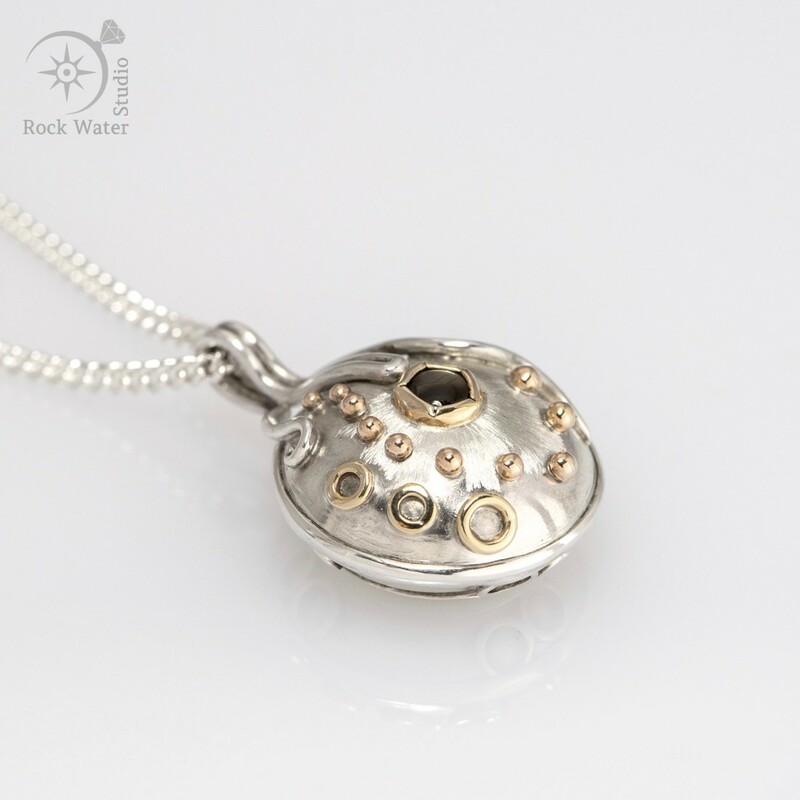 This silver compass necklace has a black star sapphire gemstone – with a natural star within. 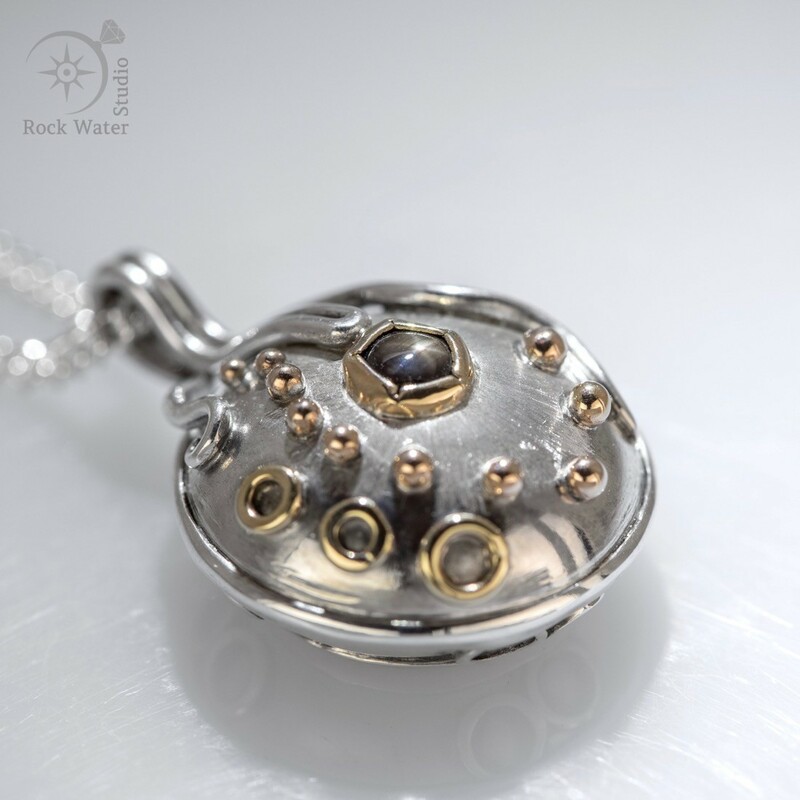 Star sapphires are characterised by a 6-ray star that appears to glide beneath the surface of the stone which is visible when you move it in the light. 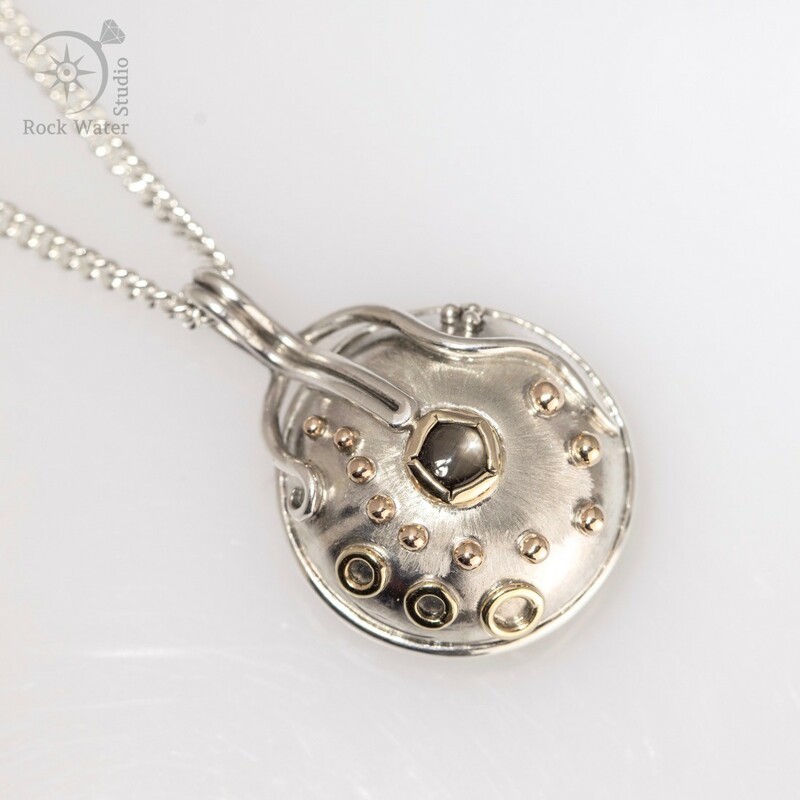 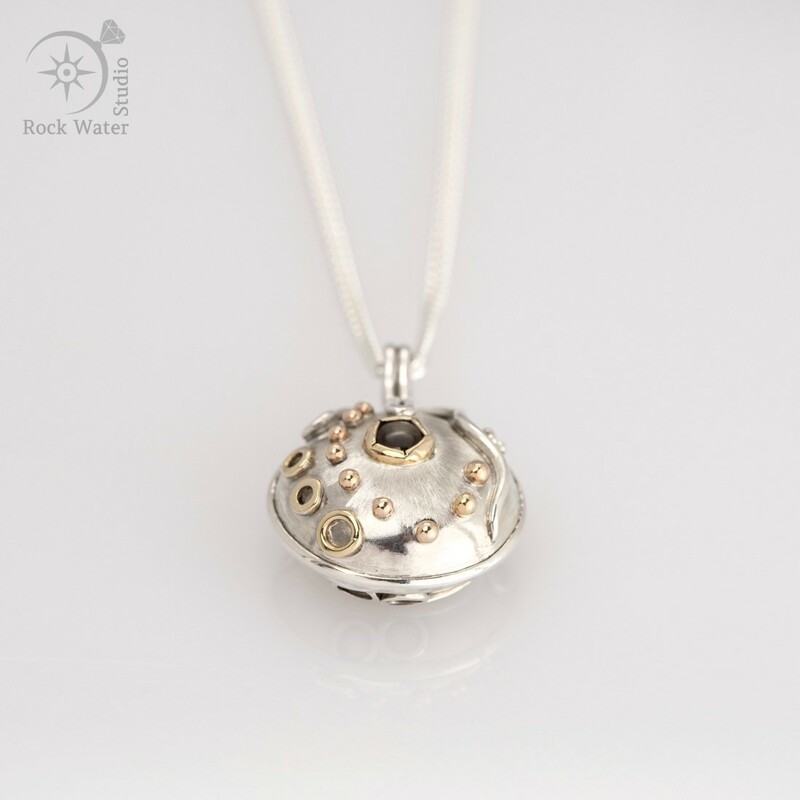 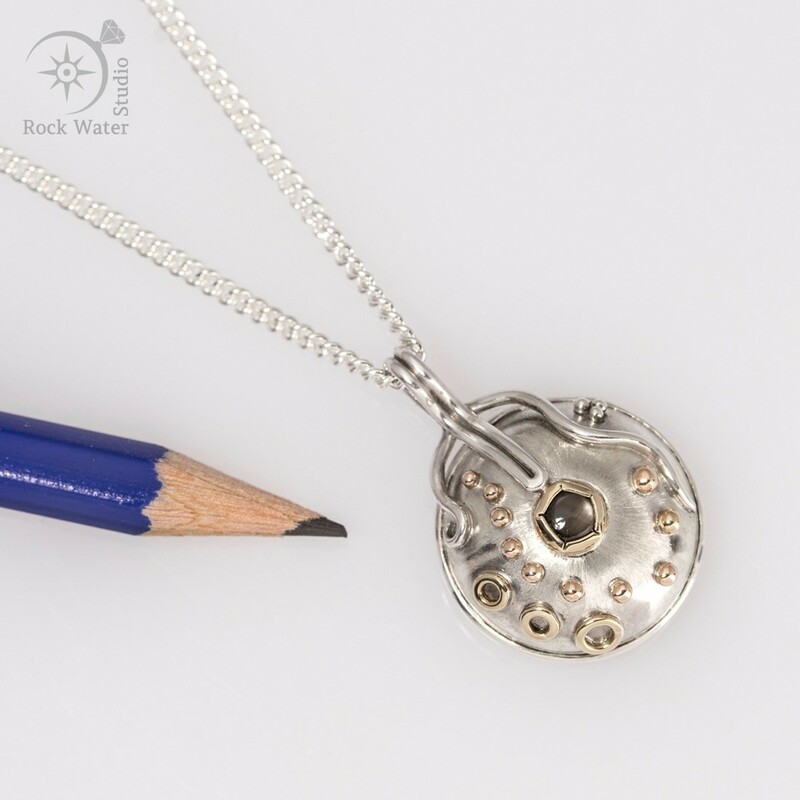 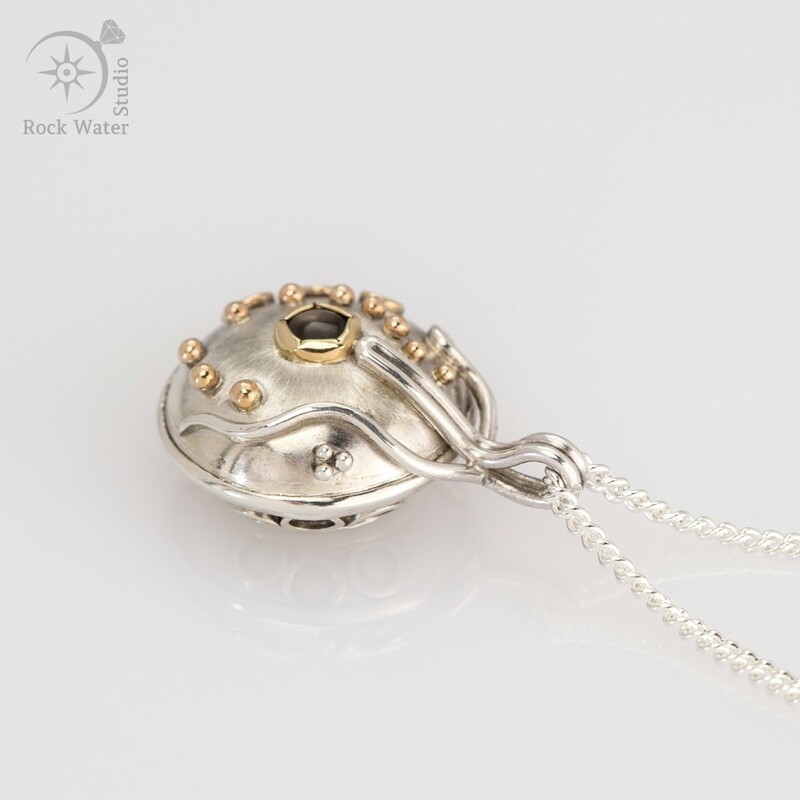 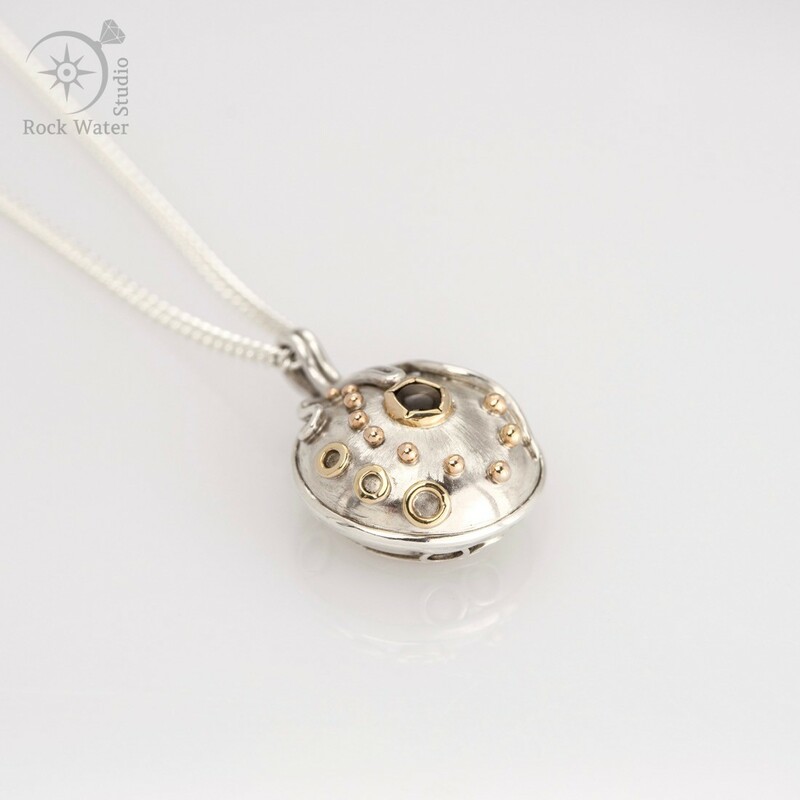 A beautiful handmade jewellery creation that could easily be a Graduation Compass Pendant gift. 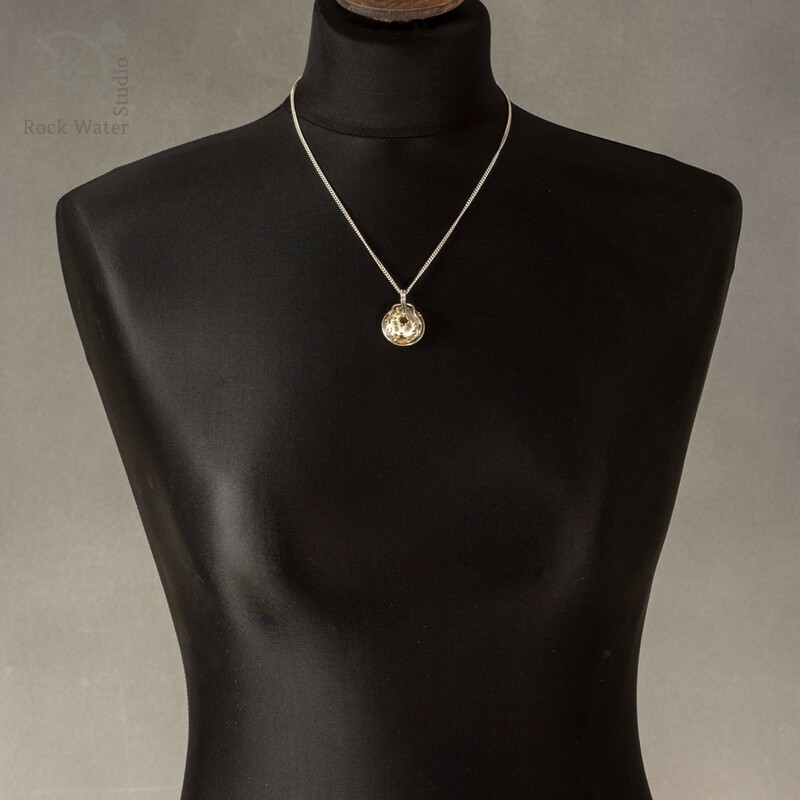 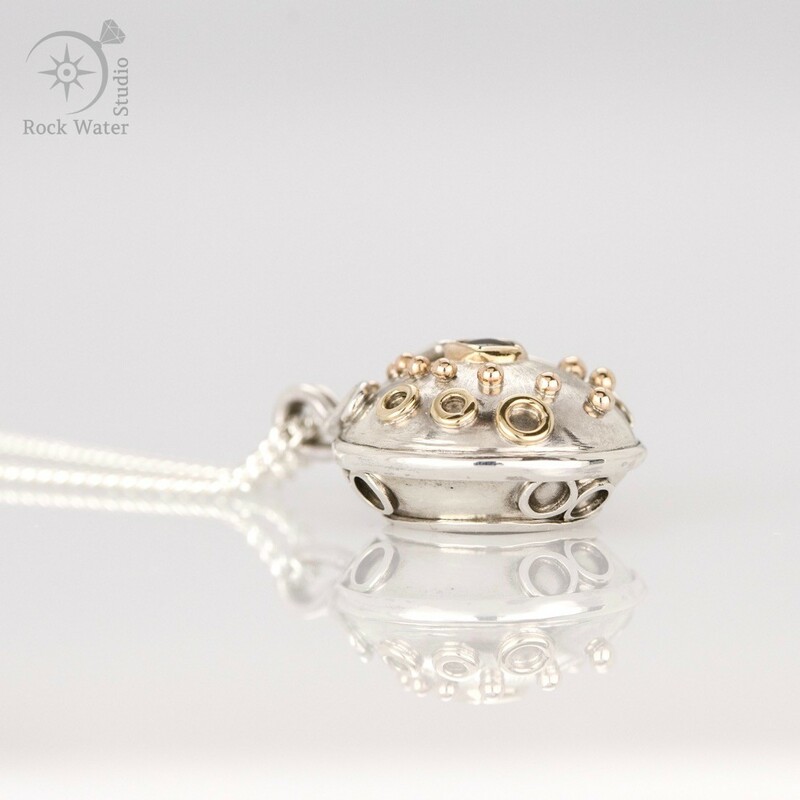 Designed to be worn with the compass worn facing the body, a necklace with a secret. 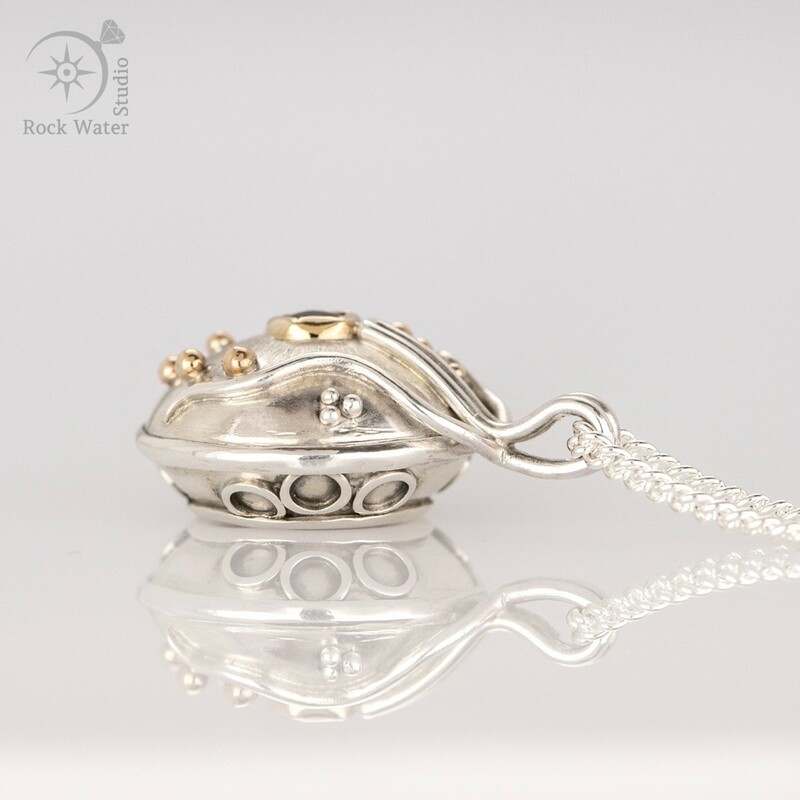 Uniquely and individually created in a gold and silver mix with curling swirls and a winding path of droplets. 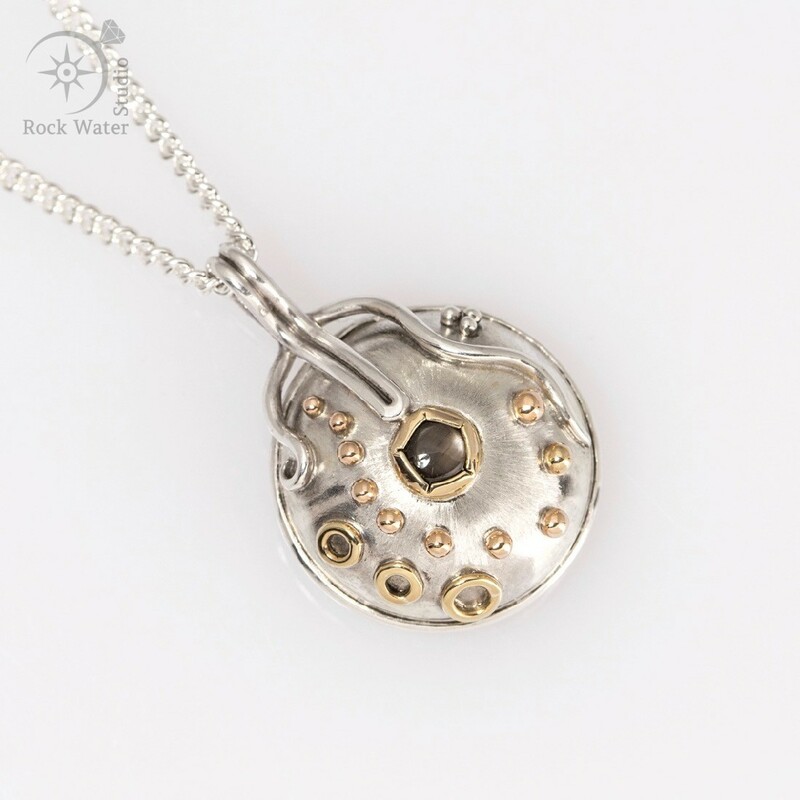 The sapphire mineral has been thought to bring lightness, joy and peace of mind to the wearer, to open the mind to intuition and be a cheerful stone of happiness. 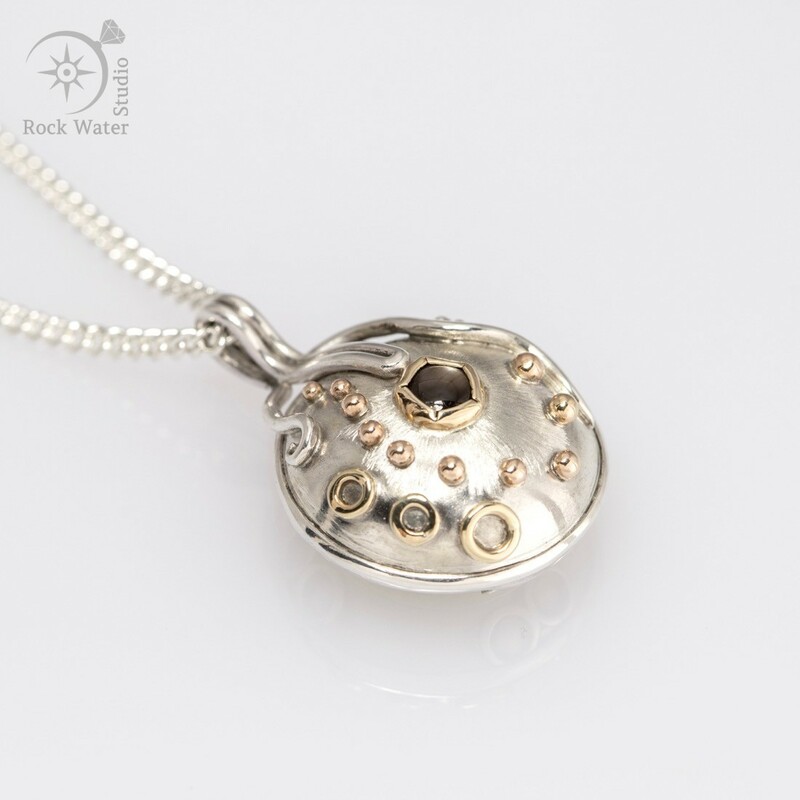 It’s also the September Birthstone and the traditional stone of choice when celebrating the 5th, 23rd and 45th Wedding anniversary.